Delego named Top 25 SAP Solution Providers 2017 by CIO Applications. We are proud to share that Delego has been featured as the cover story in CIO Applications’ SAP Solution Special – November 2017 issue. Here’s an exclusive excerpt. Data breach. Those two words are an increasingly hot topic in boardrooms and C-suites globally as companies continue to fall victim to online threats. In this environment, electronic payments security has become a front and center issue. As card-present fraud is declining thanks to EMV (chip card) adoption in the US and globally, fraud is now shifting online to card-not-present channels. Even as e-commerce delivers the promise of bountiful growth, it brings with it increasing risks of a breach. “Merchants who are transacting with their customers online are exposed to increasing threats, and as a result data breaches are becoming more frequent. Recent statistics show the average cost of a breach is US$7.4 million or $225 per stolen record which makes the consequences of a cyber attack potentially catastrophic for a merchant” says Scott Johns, President, and CEO at Delego. In addition to the increasing risk of being breached, PCI compliance requirements continue to expand in response to these threats, dramatically adding cost and complexity for merchants. 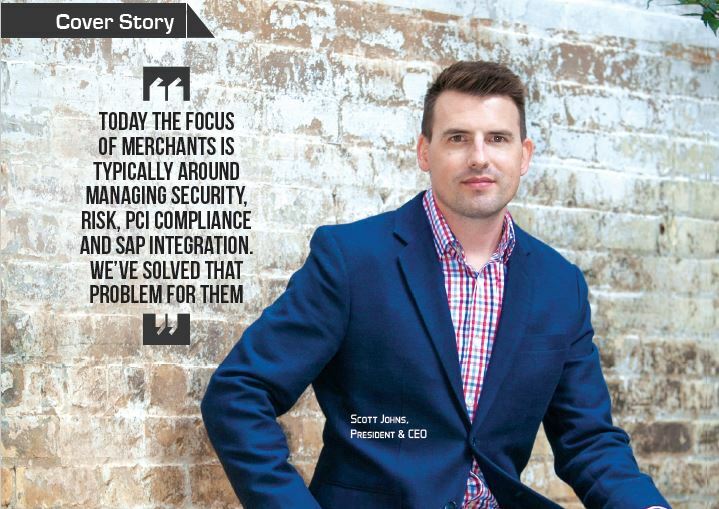 Delego is helping SAP merchants solve these problems, as well as integrate and streamline their e-payment processes.